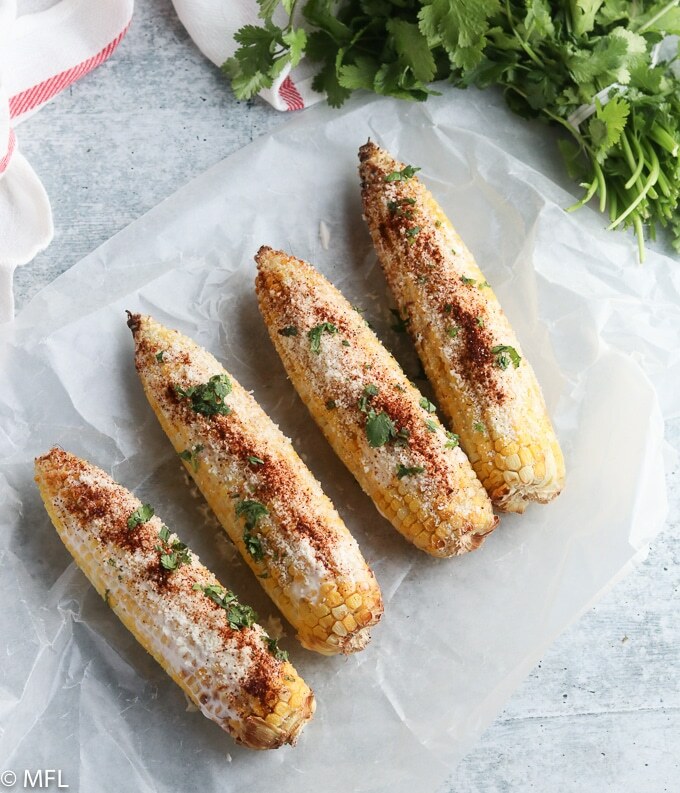 Make this Air Fryer Corn on the Cob and cover it with Cream, seasoning, Cheese, and a squeeze of lime and discover the magic of Mexican Street Corn. This post may contain affiliate links, please read my full disclaimer here. I first had Mexican Street Style Corn at a local flea market in my city. A friend posted it on my Facebook feed, and I literally drove out to get it the very next day. I was not disappointed. I knew I had to learn how to make it at home, so I did. Initially when I made this recipe, I used corn that was grilled on our outside grill and covered it in mayonnaise, Mexican Crema, chili powder, Cotija cheese, and a little bit of lime juice. It was delicious. However, I’ve changed the recipe up a bit by roasting my corn in the air fryer and ditching the mayo. The results are still amazing and you can have this as a side dish anytime you want. 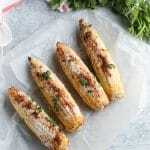 How to make Corn on the Cob in an Air Fryer? 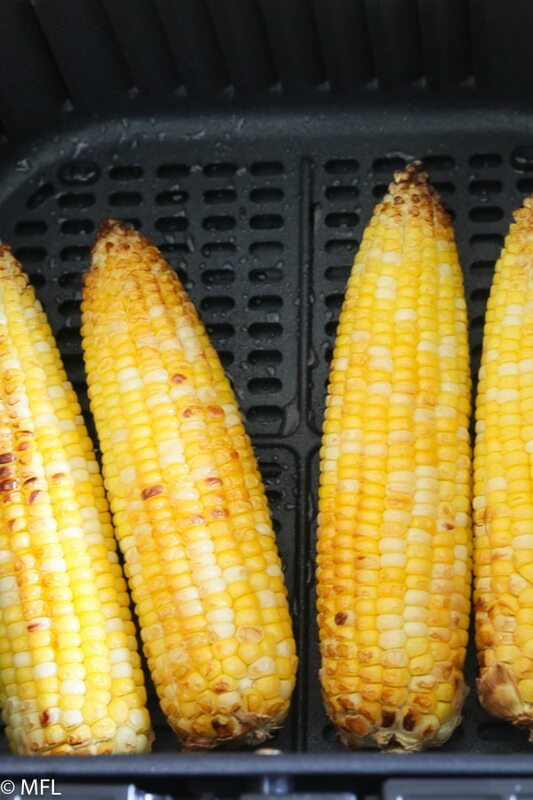 Roasting corn in the air fryer is easy peasy. First, I recommend using fresh corn on the cob. Peel and shuck your corn, it’s fun, rinse and pat the corn on the cob dry. Then place the corn in your Air Fryer in a single layer. Use a spray bottle with oil to lightly spray the corn. I only use spray bottles filled with oil in my Air Fryer. I discuss more about it in my tips and tricks for Air Fryers. Set your Air Fryer for 15 minutes at 400 degrees Fahrenheit and start it. After 8 minutes, open the Air Fryer, flip the corn, and lightly spray again. This will help with getting the charred look. Continue cooking for 7 more minutes. Once done, remove corn to a platter. Once you have your roasted corn, you’ll add some Mexican Crema. I use this kind of crema. If you can’t find mexican Crema, sour cream will work as well. Spread the crema all over the corn on all sides. Then sprinkle with some grated cotija cheese, chili powder, and cilantro. Right before serving, squeeze a little lime juice over it. I hope you enjoy this Mexican Street Corn made in your Air Fryer as much as we do. This would go well with my Instant Pot Mexican Pinto Beansor my Ninja Foodi Crispy Pork Carnitas. 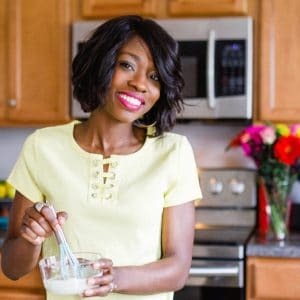 If you’re interested in other roasted vegetable recipes in your Air Fryer, try my Air Fried Brussel Sprouts or my Air Fried Roasted Cauliflower Dip. 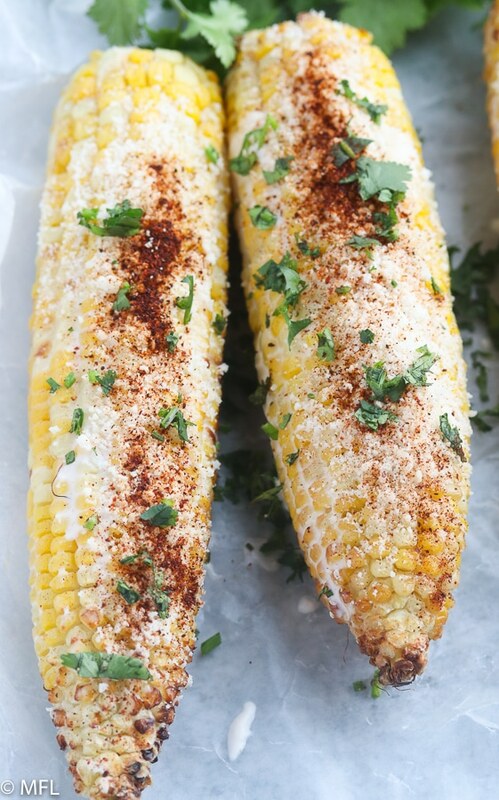 Mexican Street Style corn made in the Air Fryer. A quick and easy fun way to make corn on the cob. Wash and dry corn. 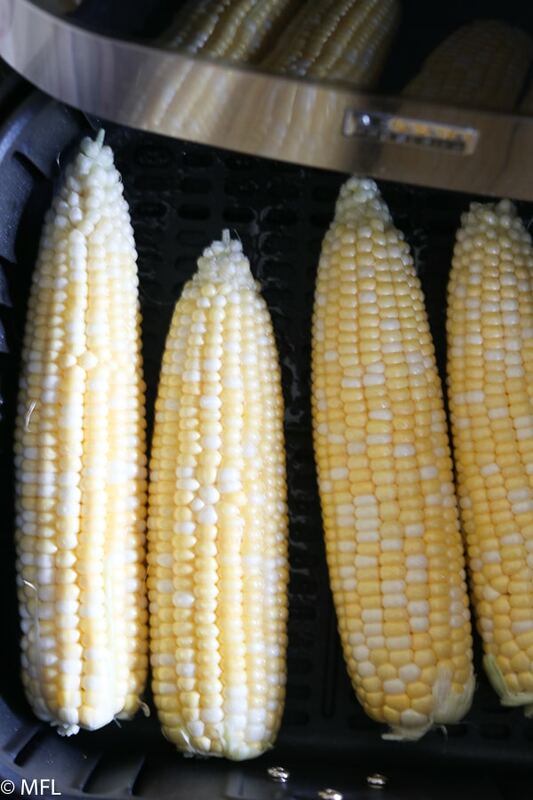 Place corn in Air Fryer basket in a single layer and lightly spray with oil. Set Air Fryer to 400 degrees Fahrenheit and timer for 15 minutes. After 8 minutes, open basket, turn corn and lightly spray again. Continue cooking. Once timer is up, remove corn to a platter. Spread Mexican crema on all sides of the corn. Sprinkle with cotija cheese, chili powder, and cilantro. Squeeze with lime before serving. Enjoy. Canola, Vegetable, or Avocado Oil work well with this recipe. I recommend using fresh corn for this recipe. Frozen corn on the cob just doesn’t do as well in the Air Fryer. It can be done, but the results just won’t be as good.